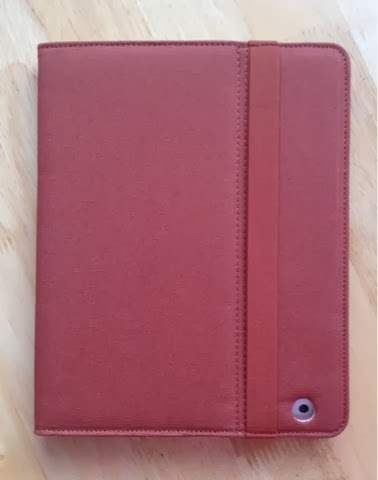 I was recently asked if i would like to review an Ipad case from be.ez i was immediately drawn to the Le Littoral Folio because of the eye catching beautiful rust colour enhanced by the soft cream. 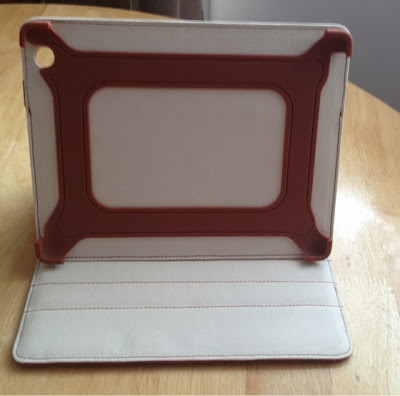 I have been using the case for about a week now, it is nice and sturdy and also offers great protection as all four corners are covered by a strong but flexible plastic..it is also padded and made from a thick canvas...making it feel really nice to hold..the Ipad case has also been stitched together in the rust colour which also adds to the unique stunning design of the case...I can choose from 3 positions..unlike other cases I have had in the past this does not slip out of position when in use which is great....plus i am able to access the camera and also charge the Ipad with out removing it from the case..when i am not using the Ipad i simply close and flip the soft but strong elastic located on the front of the case to the back making it feel very secure.. 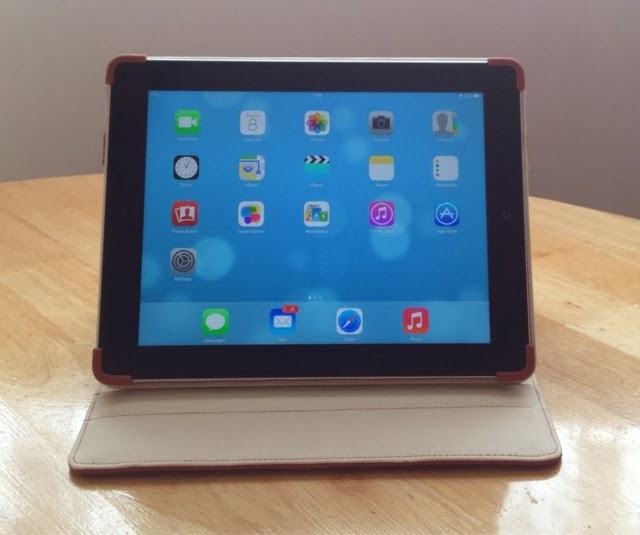 I do not need to turn off the Ipad as when i close the case it automatically goes into sleep mode..i really love the design and function of the case. Disclosure : I was sent the Ipad case for review purposes, all thoughts and opinions are my own.